There is a big misconception about digestion. One assumes that when you put food into your mouth, chew it and swallow that your body automatically digests, absorbs and assimilates the food and nutrients. This is not always the case. For people who have problems with their digestive system understand what I am talking about. In the most severe case, someone who eats a very narrow range of food because every time they eat, they experience bloating, gas, cramps and diarrhea. These people have a diminished quality of life because their health condition is in control of their life. I see this all the time in my practice. For people with more of a mild to moderate digestion difficulties, they may or may not experience any symptoms at all. Instead they may experience a chronic pain or tightness in their midback, shoulders and/or neck areas. 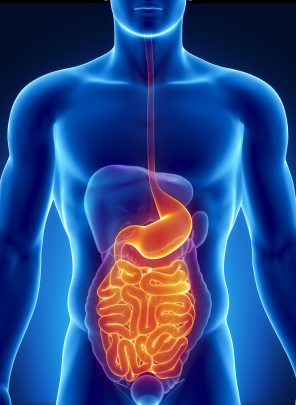 Why is digestion so vital for our health? The raw materials needed for our body to function optimally are protein, fat, carbohydrates, vitamins, minerals, enzymes and water. We are going to focus on the big guns or macro-nutrients: protein, fat and carbohydrates. These nutrients are used in the body for growth and repair, a source of energy and regulating body processes. If one cannot digest their food then these main functions of the body do not receive the raw material they need to continue functioning properly. Think of digestion as the first domino of health. If your digestion is strong, then everything else in your body will fall in place and function well. However, if your digestion is weak, then this starts a cascade of events in the body which lead down the road to symptoms, degeneration and disease. You can trace anyone with symptoms, disease or chronic unresolved health conditions back to improper digestion. They go hand and hand and cannot be separated. How does one know if they are digesting their food well? The visceral stress reflex for carbohydrate digestion is under the left anterior rib cage. The visceral stress reflex for protein digestion is under the right anterior rib cage. 60 minutes after you have eaten a meal, firmly palpate these areas and compare the two. Let say the right anterior rib cage is tender or tighter then the left side. Then you are having problems digesting protein. If the left side is tender or tighter then the right side, then you are having problems digesting carbs. If they are both tender and/or tight, then you are having a problem digesting both. And lastly, if neither is tender or tight, then you can digest both well. Most people can tolerate digestion problems for years, but the impact on the nutritional status of the body can be great. Ultimately, the accumulative effects of decades of nutritionally depleted body are degeneration and chronic diseases. Plant enzyme supplementation can help improve digestion along with stress management and chiropractic adjustments. Previous Previous post: Allergies or Lymphatic Congestion?